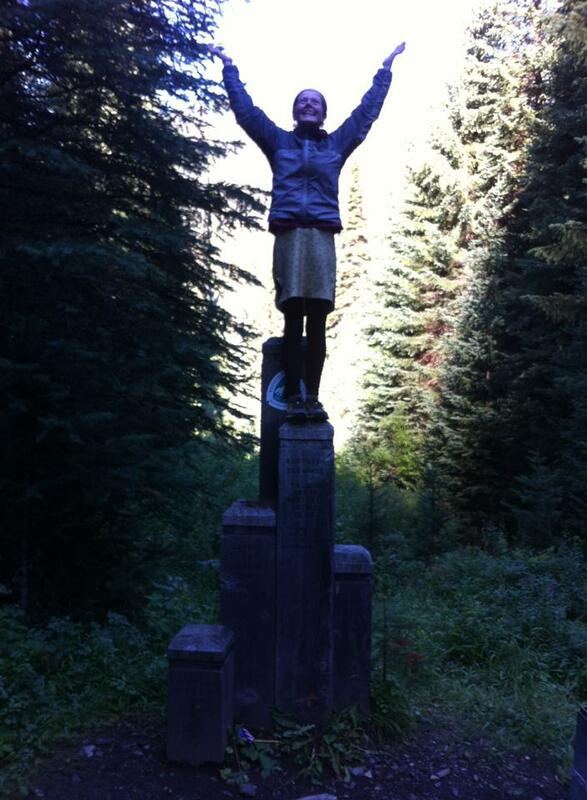 Heather “Anish” Anderson celebrates after completing the Pacific Crest Trail in record time. One might call 2013 the renaissance for Fastest Known Times, as speed records for popular long-distance hiking trails fall across the United States. Records on the Pacific Crest Trail, the Appalachian Trail, and the John Muir Trail have all been reset in the past two weeks. Heather “Anish” Anderson, a trail runner from Bellingham, Washington, completed her 2,655-mile journey from Mexico to Canada on the Pacific Crest Trail in 60 days, 17 hours, and 12 minutes. This stood as the overall PCT record until a day later, when Josh Garrett, a 30-year-old fitness instructor from Santa Monica, finished his hike in 59 days, 8 hours, and 59 minutes. Garrett’s journey was “supported,” meaning he had a friend bring him food and supplies at road crossings along the way, while Anderson completed her hike in “thru-hiker style,” meaning she hiked into towns to purchase food or pick it up from post offices. Heather estimated she hiked more than thirty extra miles as a result, and also had to carry more food and gear between farther-spaced resupply points. Both bested the previous overall record of 64 days, 11 hours, and 19 minutes, set by Scott Williamson in 2011. Because of distinctions accepted by those who track fastest known times, Anderson now holds the women’s as well as the “self-supported” record for the PCT, while Garrett holds the overall and “supported” record for the PCT. Another self-supported record fell when Matt Kirk, a 32-year-old teacher, hiked the 2,185-mile Appalachian Trail in 58 days, 9 hours, and 40 minutes in thru-hiker style. The previous record of 60.5 days, held by Ward Leonard, was more than twenty years old. Jenn Pharr Davis still holds the overall supported AT record of 46 days, 11 hours, and 20 minutes, which she set in 2011. Also earlier this month, North Face-sponsored runners Hal Koerner of Ashland, Oregon, and Mike Wolfe of Missoula, Montana, teamed up to set a new supported Fastest Known Time for the John Muir Trail, a 223-mile route through the High Sierras from Whitney Portal to Yosemite, California — 3 days, 12 hours, and 41 minutes, besting Brett Muane’s time of 3 days, 14 hours, and 13 minutes, which he set in 2009. Muane still holds the “unsupported” record — meaning he started with all of his food and supplies and gathered only water along the way. Of course, supported and self-supported distinctions are far from black-and-white, and immediately after Anderson and Garrett completed their impressive journeys, questions began to crop up. How much support is support? What makes a hike truly self-supported? Ethics set by prior self-supported record-seekers allow for “the kindness of strangers,” or trail magic — but how much kindness is truly magic, and how much is generated by high-profile record attempts and their “fans?” If you accept something meant only for you, is that support? These questions, while often nit-picking and petty, do point to a larger issue as Fastest Known Time efforts become more popular: Should specific lines be drawn, or will the petty debates simply continue ad nauseum? And how exactly does the community go about drawing specific lines when there’s no real governing body to begin with? I’ve watched these debates and squabbling regarding self-support rules continue for years in the bikepacking community, from disallowing cell phones in the 2007 Great Divide Race to all but banning most trail magic in recent years of self-supported, long-distance mountain bike racing. I bring it up here because I too was an avid fan of Anderson’s incredible record attempt, and have been disappointed to come across squabbling and controversy in the aftermath of her achievement. I also have much respect for Garrett’s hike, but there’s something even more intriguing about the independence and problem-solving of a self-supported effort. Anderson made all of her own decisions and walked all of her own miles (and yes, the bonus miles into towns that Garrett did not have to walk do make a difference, as did Garrett’s close-at-hand help when things started to go wrong.) Accepting a few pieces of pizza from a “trail angel” rarely makes or breaks a hike, and yet the peanut gallery seems to have a strong fixation on such gray-area issues. Are you certain about your characterizations of Brett Maune’s times? As I understand it, the two times you cite for him are both from a singular unsupported record attempt. I believe the longer time is for his complete trip from Whitney Portal to the end and the shorter time represents the segment from Mt. Whitney’s summit to the end. Can you clarify? Sean, thanks for the correction. There was conflicting information in media reports after Hal and Mike finished. But the Proboards do distinguish Maune’s record as single unsupported hike in 2009 with a total time of 3 days, 14 hours. I made a change in the article. That whole Whitney Portal/Whitney summit business is so confusing. It’s not like a helicopter can drop you off on the summit, so why even make the distinction? Ah, well. Unfortunately, no playing field is ever perfectly level. That’s why most competitions prevent squabbling by institutionalizing rules, and recognizing judges with authority to make subjective calls. 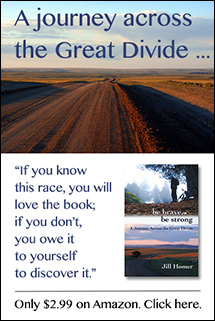 But the PCT is not a playing field, it is mostly wilderness. I enjoy both competition and wilderness. So I think we’re going to have to live with squabbling, unless we impose things on the wilderness that simply don’t belong there. AS to the supported/unsupported ‘rules’, I hate to say it but I think that “unsupported” should be just that. NO outside help/food. Sure it’s easy to say nice people invited you to a dinner one night, or gave you a sandwich or something…howver it’s a slippery slope and could very easily be used for evil. Unsupported is just that, plain and simple. you want your hike to be listed as “unsupported” then you are allowed ZERO outside assistance. Keep it simple, get rid of gray areas. ZERO. Otherwise it’s like cheating at solitare…”well, they only gave me one meal..it wasn’t that big of deal”. Yes it is…surley if you are vying for a record. Just my cents worth. I feel people not involved in the actual effort of the hike make too much of these things. They try and steal the happiness that these folks discover thru higher achievements. If you need a “winner,” just read each of their testimony. It’s clear who truly won, in my opinion. Thx for the great story! Goodness. If MattC’s definition of “supported/unsupported” were followed, no one would ever go for the unsupported record. That kind of cut and dry rulemaking makes sense on short-duration trails – but on something that takes 2 months? To never be able to accept a can of pop from a stranger without dropping into the “supported” category? Seriously? I’m with David on this one.